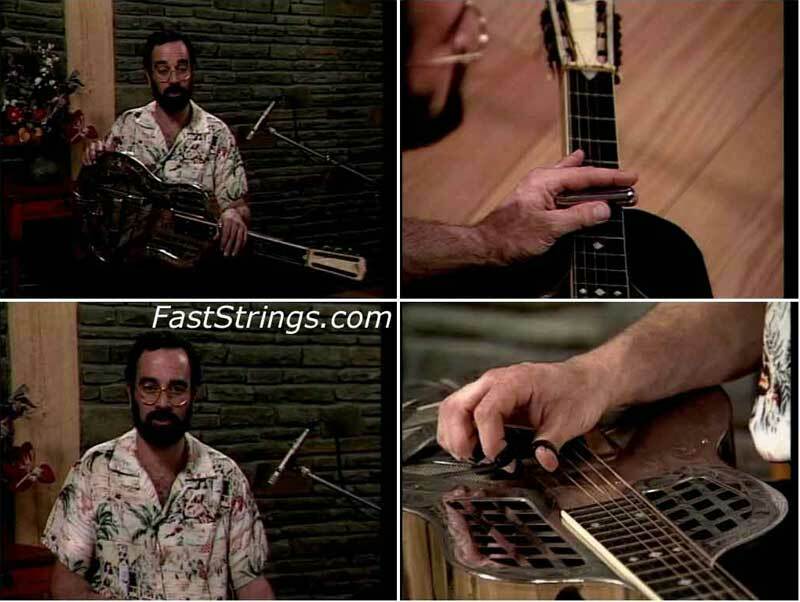 Get the real Hawaiian steel guitar sound! This lesson for guitarists, Dobro, lap steel and pedal steel players covers bar techniques, hand positions, scale patterns, Hawaiian tunings, vibrato, harmonic “chimes” and more. Bob stresses the importance of using palm harmonics and explains some incredible secrets for getting sounds up and down the neck. You’ll learn to play four Hawaiian classics Mai Kai No Kauai; Maui Chimes; Moana Chimes; Uhe, Uhene and grasp how this music has profoundly influenced today’s bluegrass, country, Western swing, jazz and Tex-Mex styles. If you are trying to learn Hawaiian steel guitar, this is the place to start. Starting with a history of the steel, he gives you the building blocks – how to hold the steel, left hand position, how and when to pick and slide, how to tremelo, etc. Then he starts teaching you scales and harmony. Brozman nails it on this video. Shows many essential Hawaiian techniques in an easy to understand and follow lesson. Picks tunes that are representative of the genre and are fairly easy to learn without dumbing anything down. Brozman is truly a master of the Hawaiian steel guitar, and this is evident throughout the video. Bob was the greatest… !! THXXXXXXXX!!! Very good lessons. Thank you faststrings. My favourite site.